MOSCOW -- The head of the Russian military intelligence agency GRU, which has been accused of meddling in U.S. elections, has died in Moscow. He was 62. 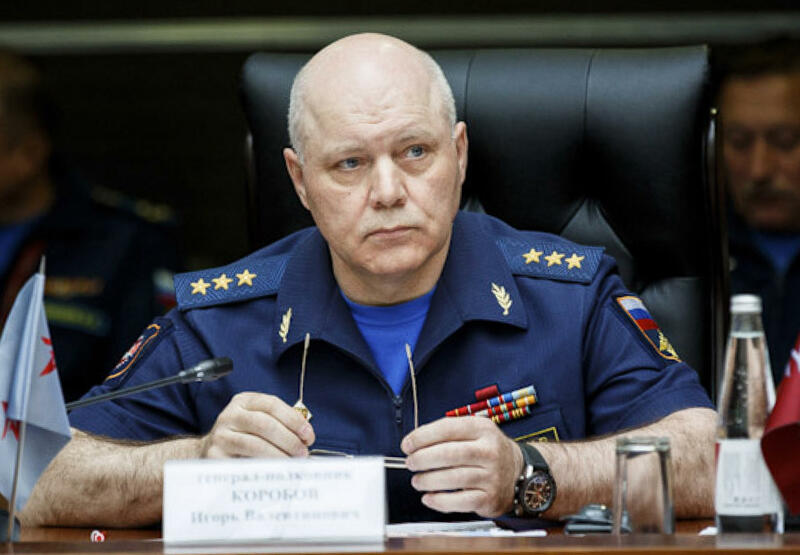 The Defense Ministry said Thursday in a statement that Igor Korobov, who led the GRU since 2016, died Wednesday of "a lengthy and grave illness," a usual Russian euphemism for cancer. His predecessor had died two years earlier, at 58. Korobov was among the Russian officials hit with U.S. sanctions in March for efforts to "undermine cyber security on behalf of the Russian government." According to the Reuters news agency, Korobov's fate had become uncertain in the wake of the botched assassination attempt against Russian ex-spy Sergei Skripal in England in March. Britain and the U.S. say Russian intelligence agents used the Soviet-era nerve agent Novichok in the attack, which failed to kill Skripal but left a civilian dead. The GRU chief was, according to an unconfirmed Russian media report, reprimanded personally by President Vladimir Putin over the fiasco which made Russia's premiere military intelligence agency look hapless on the world stage. Korobov was notably absent from a ceremony this month marking the 100th anniversary of the GRU's establishment, Reuters reported. Putin was there, and lauded the agency's "unique abilities."